Using clipboards, pointers, and markers, allow students at a center to search for things that are a certain shape and draw them on the recording sheet. There are two different pages included. 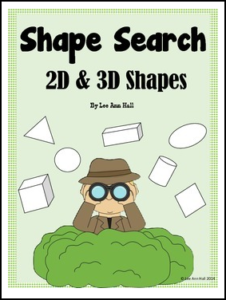 One page is for 2D shapes, and the second page is for 3D shapes. Enjoy!